– The match turned out tense and exciting. In the first half we tried to play a different way, using different tactics: Zubkov played as a wider winger, and Arabidze was placed by the forward - it was a bit unusual. We had scoring chances, but the opponents also mounted dangerous counterattacks. In the end, they scored, and we didn't. After the half-time, we returned to our usual formation, and started dominating the game. We quickly earned two penalty shots, and equalized. Then we felt that we could score more, went forward and created plenty of great chances, but could not convert them for a long time. However, the team believed in the win until the end, and, I think that we have absolutely deserved it. – We prepared well for this game: we had watched a lot of Dnipro matches, scrutinizing their play. We knew that the opponents will build their game based on defence and quick counters, so we were set for a difficult game. And that is how it turned out. In the first half, we did not always have time to regroup after losing the ball, did not return to defence and because of this, conceded a goal. During the half-time, the coaches asked us to play more aggressively in the attack, to show character. Dnipro has shown good organization in defence, but we controlled the course of events on the field and ended with a win. Winning in a game like this, with such a fight is twice as nice. 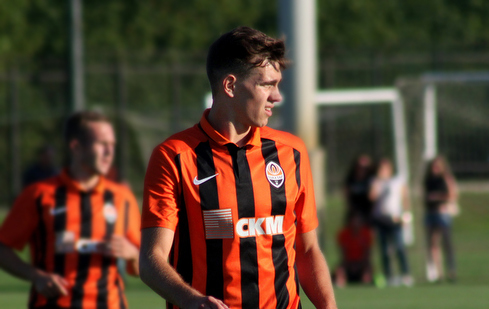 All the teams have a special motivation in games against Shakhtar, and every win is not easy. In the next round we will have other difficult opponents - Stal. We will be carefully preparing for the upcoming game.